Let me be the first person to admit that this headline is slightly misleading, just so I’m not setting anyone up for disappointment. I was in Croatia a few weeks ago and it was amazing, but I did spend most of the time on a sailboat. One of the days, though, my brother and I rented scooters and rode across the Croatian island of Vis. We would have rented actual motorcycles, but my brother doesn’t have a motorcycle license, so we were stuck with these less-than-ideal vessels for navigating twisty mountain roads. With that said, I still wanted to share some of my photos. Hopefully it can inspire someone to go experience Croatia on a slightly more appropriate bike (I know I’ll be heading back to do just that as soon as I possibly can). Croatia has some of the most gorgeous scenery I’ve ever experienced in my life. 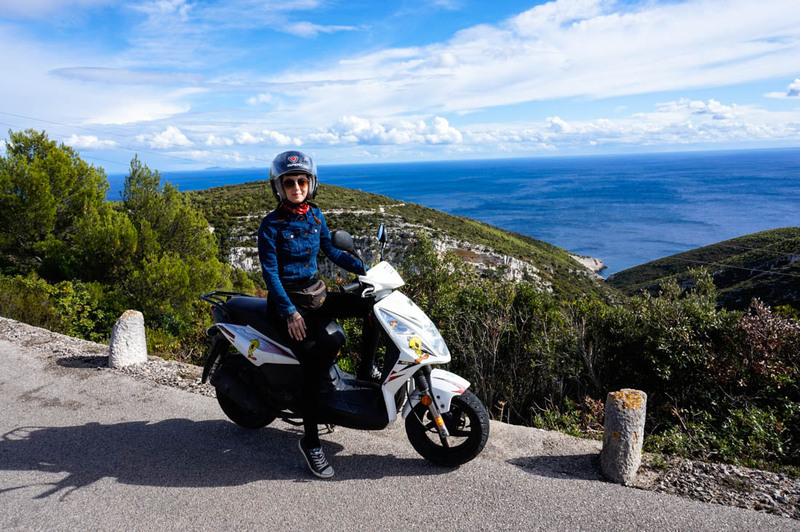 I haven’t spent any time inland, but if you stick to the areas off the Dalmatian Coast, there are hundreds of islands to explore, several of which have decent communications — you can take car ferries almost everywhere, allowing you to bring your motorcycle. Vis is a fairly tiny island, only about 35 square miles in size. 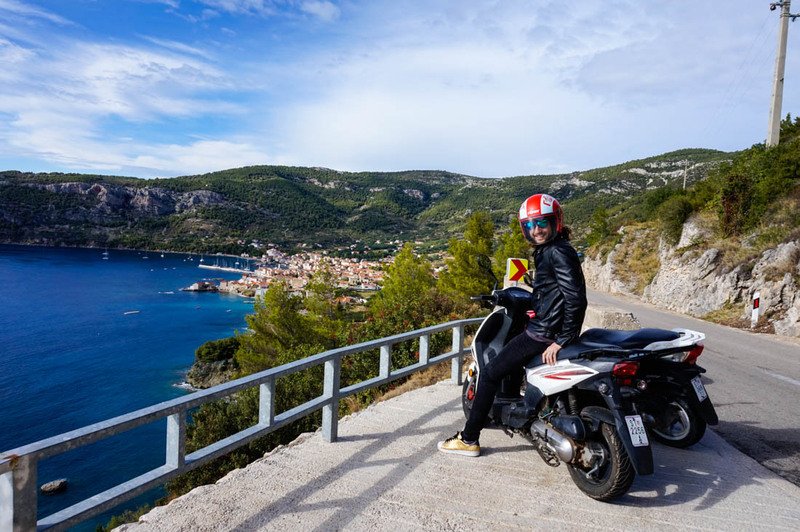 We rented scooters in the town of Vis and rode across the island to Komiža. 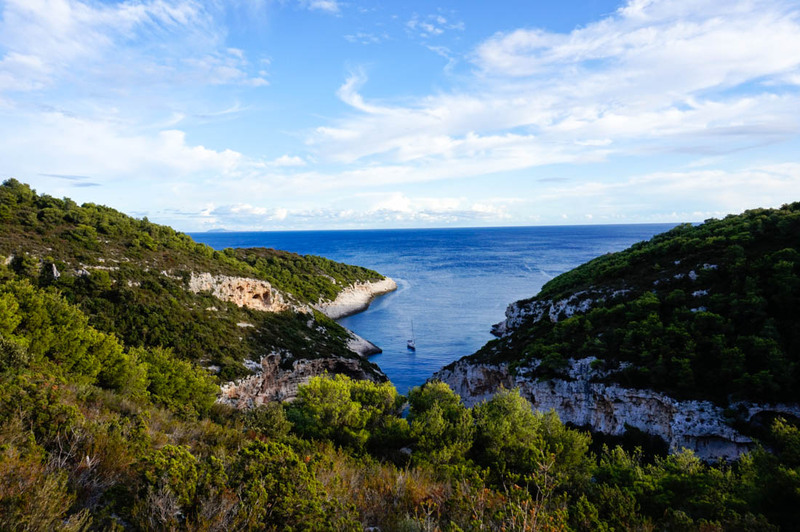 Little coastal towns like this, tightly packed with white stone houses with red clay roofs, are everywhere in the Croatian archipelago. When riding across Vis, we took an extremely scenic mountain road with these insane ocean views almost the entire way. When we couldn’t see the ocean, we were instead surrounded by vineyards. Which were also very pretty. 10/10 would go back. Again, these scooters were a pretty crappy way to get around the narrow mountain road hairpin turns, since you can’t really lean too hard without catching a wobble. My brother rides a scooter to work every day in Stockholm so he’s a bit more skilled at this than I am. I found myself missing my Harley pretty hard going down this road, which just happened to be one of the most scenic roads I’ve ever ridden.